Enter the email address for your account and click “Send password reset instructions”. Check your email for further instructions. 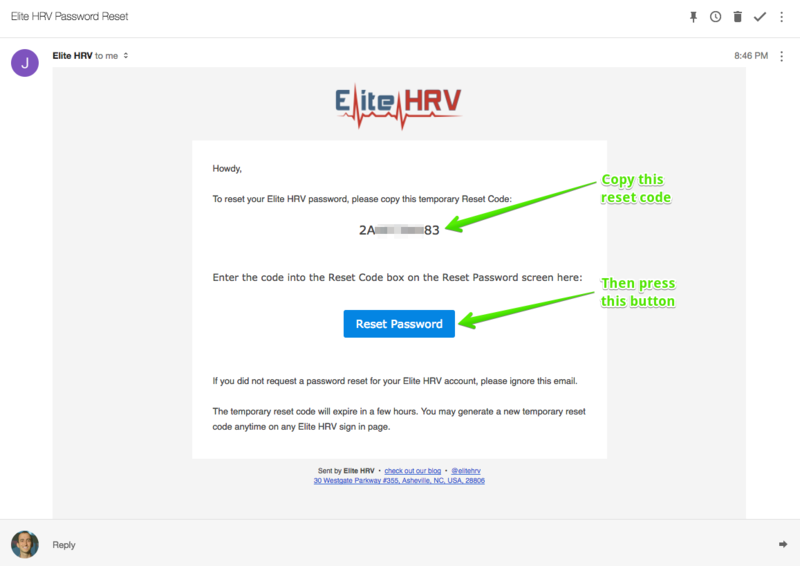 Common issues with Password Reset or Forgot Login: If your email automatically forwards to another email address, then it may be different than the email address you used to sign up for Elite HRV. Double check that you are using the correct email address and that it is not being forwarded to one of your other email addresses. The email will contain a link or button to reset your password. Press the button or link and follow the instructions to enter a new password for your account. On some devices, you may need to copy the Rest Code itself, and paste it into the “Enter Reset Code” box. Copy and paste the reset code, then follow the "Reset Password" button link in the email. 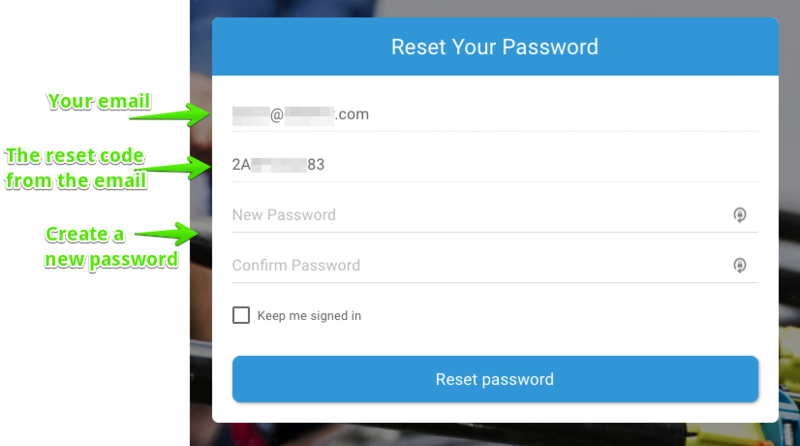 Then finish resetting your password on the reset page.